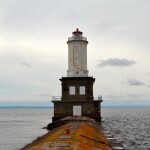 The Manitou Island Lighthouse stands on the eastern tip of a 1,000 acre island in Lake Superior, just three miles from the Keweenaw Peninsula. 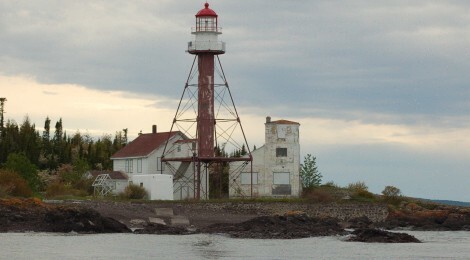 The copper mining boom in the western Upper Peninsula and the opening of the Soo Locks led to increased shipping traffic past Manitou Island, and made the construction of a lighthouse necessary in 1850. 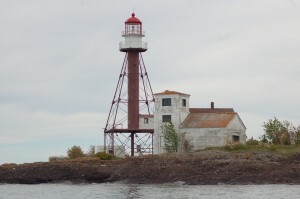 The original lighthouse at this site only survived for 11 years and at that time the current light station was built. The Manitou Island Lighthouse began operation in 1862, and it is the oldest iron skeletal tower on the Great Lakes. 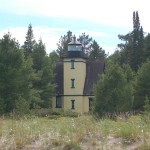 The Whitefish Point Light Station near Paradise is a great example of a similarly-constructed lighthouse. Manitou’s tower stands 42 feet tall, with its once-white tower topped with a red-capped lantern room. 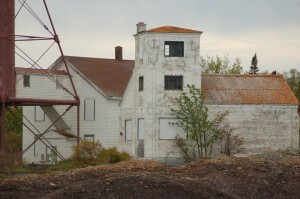 Weather and neglect have taken a toll on this light station over the years, as the photos show the tower is in need of some paint and many of the outbuildings are deteriorating. While a Fresnel lens once sat in the lantern room to guide mariners, today this lighthouse continues to be a navigational thanks to an automated solar-powered signal. 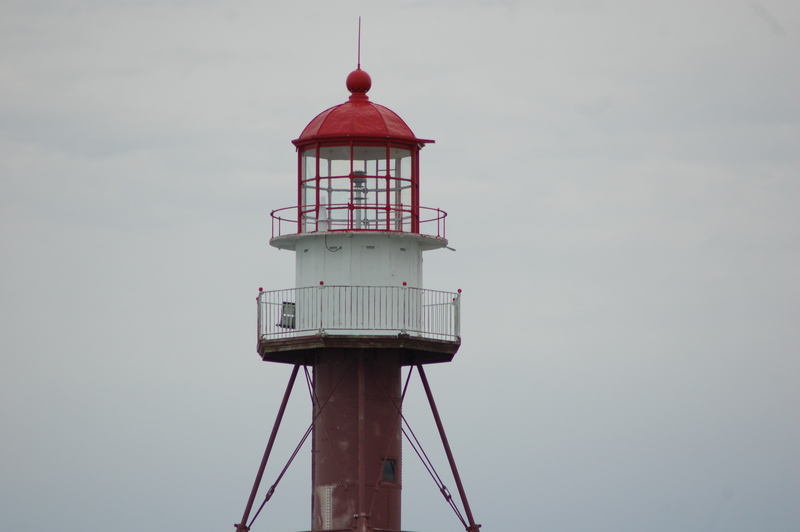 You can learn more about the history of this lighthouse on Terry Pepper’s Seeing the Light website. 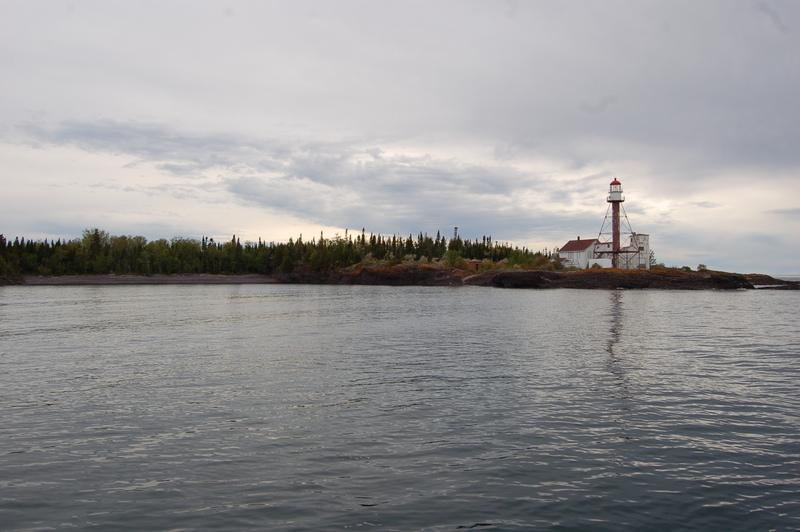 The Keweenaw Land Trust owns 93 acres of the island, including the lighthouse, and they have started encouraging visitors to come to the island. 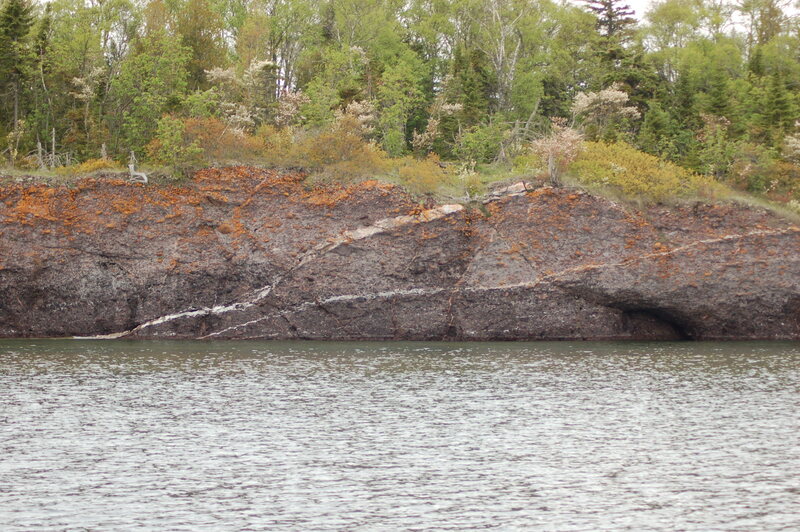 Manitou Island is a rock picking paradise, features many plants that are seldom seen on the mainland, and it is a paradise for bird watchers. 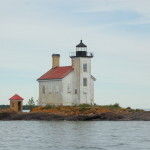 During the spring and fall migrations, thousands of raptors and other birds have been observed. We were able to visit this unique island and lighthouse thanks to Sand Point Charters out of Lac LaBelle. 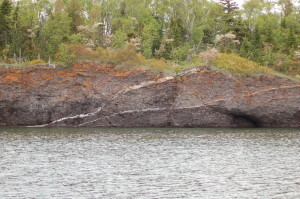 Captain Brian provided a great trip that took us past the nearby Gull Rock Lighthouse as well as Manitou Island, where he also showed us the large quartz vein that can be seen from offshore. 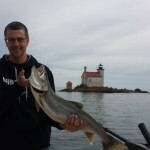 Check out a photo gallery from our trip: Lighthouse Cruise with Sand Point Charters.